These clear and green glass bottles are truly things of beauty. 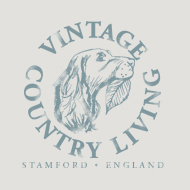 Each individual in shape, size, colour and inscription they are the classic vintage touch for a cottage or country inspired interior. Group them together and simply let the light flood through them, or arrange as a series of characterful and unique bud vases. Varying in height from approximately 9-15cm, some are embossed. Who could resist Eiffel Tower Lemonade, or Mrs Winterbottom's soothing syrup. These bottles are the perfect reminder that the real world is not perfect, nor disposable. They are real objects to be cherished for their idiosyncrasies and imperfections, including some grime! The price shown is for the set of five tall, slim 'bud vases'. Please email me for details of the others.